A look at diagnosing and resolving common bottlenecks in Node’s event loop. Learn about process states & graceful shutdown to write production-ready apps with confidence. Roll your own custom object recognition solution with a Raspberry Pi, Node, and IBM Watson. Restify is a framework for building REST APIs in Node. Some clarification on npm’s Node support policy. Telemetry gives a timeline of browser events leading to errors. Debug better & know why your app crashed. 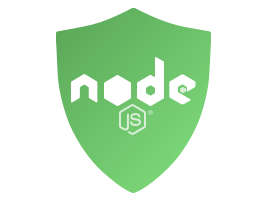 ..using StdLib Scheduled Tasks and Node.js. When you change 1 unit test, how many tests will your test runner run? If your answer is not "one test", then the runner is wasting your time. Wallaby can make it smarter and faster. A node.js command line app for packing Google Chrome extensions.